I have two cream highlights in my make up collection, and two very different ones at that. I thought I’d share my thoughts on these two very popular highlights and how I feel about them! I hope you enjoy. The first one, the Topshop Glow highlight. Which is the swatch on the left. I bought this quite a while back now because I was in desperate need of a cream highlight and I’d seen many good things about this. Its an extremely yellow toned highlight as you can see compared to the Benefit one. It has quite a thick consistency but also feels very light, if that makes any sense! I find this blends really easily when on your cheeks due to the lightness of it. It gives a really lovely glow to your cheek, and also a bit of warmth to because of the yellow tones. Now onto Benefit High Beam, a highlight thats been around for years. 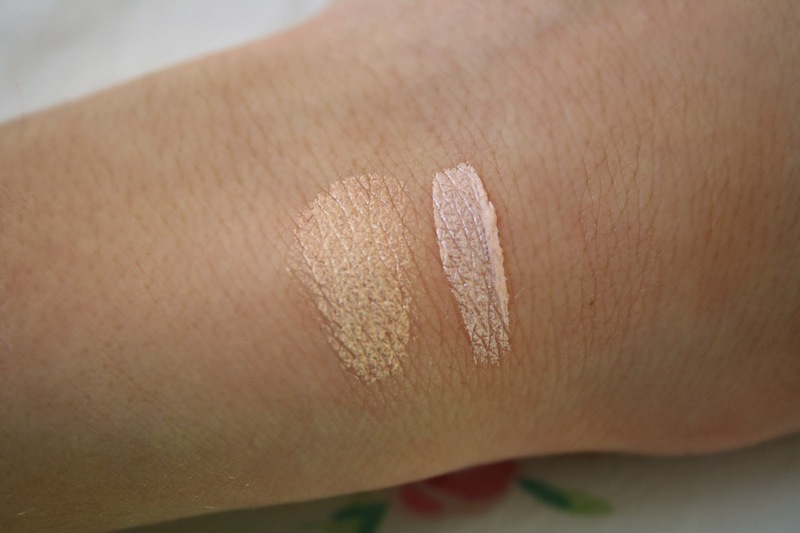 This is a complete opposite to Topshop Glow, whereas it is very pink toned as you can see from the swatch on the right. Personally I prefer this one, as I think a pink toned highlight suits me better. I prefer the packaging for this also, as its got a small brush to apply straight onto your face; whereas the Topshop Glow is in a pot and you have to try and get the right amount on your finger and it can get a bit fiddly. 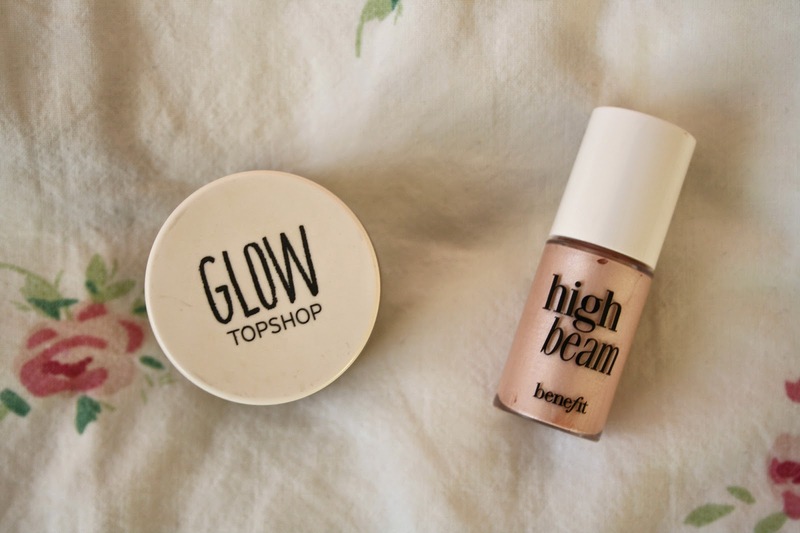 Overall I prefer Benefit High Beam, but both are extremely good highlights. Whats your favourite highlight product?